Batch Access Database Compactor is an Access DB Compact Access Database Compactor that compact and repair access database easily. Batch Access Database Compactor can compact and repair Access Database without Office installed. Batch Access Database Compactor supports project and command line. 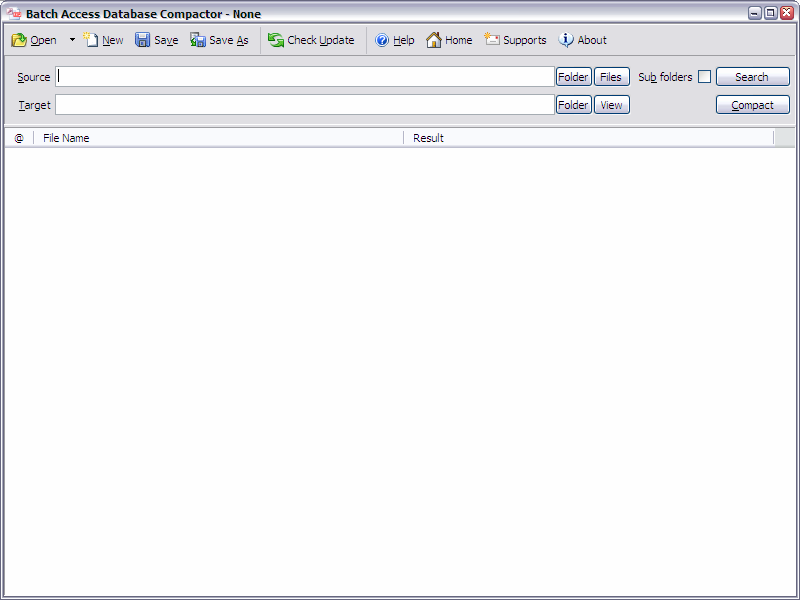 Batch Access Database Compactor has a friendly GUI so it is used very easily. Batch Access Database Compactor Drag and Explorer Context supported. Access DB Compact, Access Database Compactor compact and repair access database. ...... So you could control the compress action very easily. You can stop or pause and continue it in any time. You can save your compack and shrink work in a project file (.batch-axeszip) for re-use. You can run the batch-axeszip project in Microsoft Windows Explorer or command line directly. Compact and repair Access database easily. Batch compress access mdb with GUI that supports powerful search function. Supports compact and shrink a mdb/accdb file. Supports compress mdb/accdb files in a folder. A efficient high-speed Multi-Thread compress engine. Convert selected or entire MS Access database record to MySQL data base server. Repair and Restore corrupt access file that gets corrupted or damaged. Repairs and restore easily damage, corrupted ms access .mdb files and fix .mdb. Repair corrupted access database tool repairs a damaged Jet 4.0 database files. Manage MS Access Database without having full version of MS Access installed. Qweas is providing links to Batch Access Database Compactor 2012.4.319.1296 as a courtesy, and makes no representations regarding Batch Access Database Compactor or any other applications or any information related thereto. Any questions, complaints or claims regarding this application Batch Access Database Compactor 2012.4.319.1296 must be directed to the appropriate software vendor. You may click the publisher link of Batch Access Database Compactor on the top of this page to get more details about the vendor.